A FLV file with .flv file extension is known as a Flash Video file. This format was defined by the adobe systems and this file is mostly used to play online videos on the online sites like YouTube, dailymotion Google Videos etc. This format is unplayable on the most popular Mac and windows of official players QuickTime and Windows media player. This will result that users have to convert FLV to MP3, MP4, AVI or other formats. If you have the FLV and looking for the only audio then MP3 format will be the best target format for you because of popularity and widely supported by all media players. 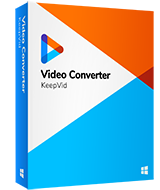 KeepVid Video Converter is the most effective video converter software for the Mac and windows users. This FLV to MP3 converter enables you to convert FLV to MP3 in a very easy and convenience way. This is 100% clean software without any ads, spyware or adware problem and can work perfectly on the all versions of your Mac and windows OS. KeepVid Video Converter is very fast and effective program that can convert the files in no time. Effectively convert videos to more than 1000 formats with just a single click. Fast conversion speed enables you to get converted your videos in 30x faster speed. Downloading option enables you to get videos from online sites like YouTube, dailymotion, hulu and more 10000 sites. If you are not happy with the video then you can simply use the edit tab of the program to customize the videos. You are not limited to convert one video at a time. 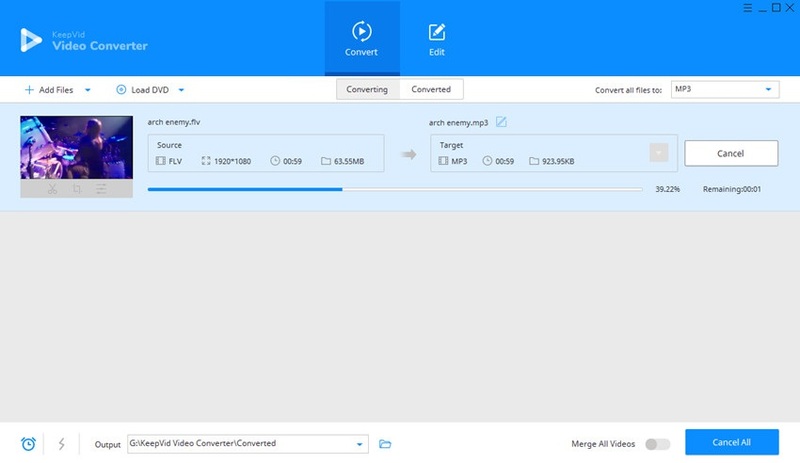 You can add many videos together in sequence to convert. Step 2. Select MP3 as an output, and click the Convert button to start converting FLV to MP3. Download the installation file, install KeepVid Video Converter on system and launch it. By default you will reach in the Convert section so here in click on the “Add Files” button and select FLV from system to convert. You file is now added for conversion. Now choose MP3 format from the drop down list in next to the convert all files to option. 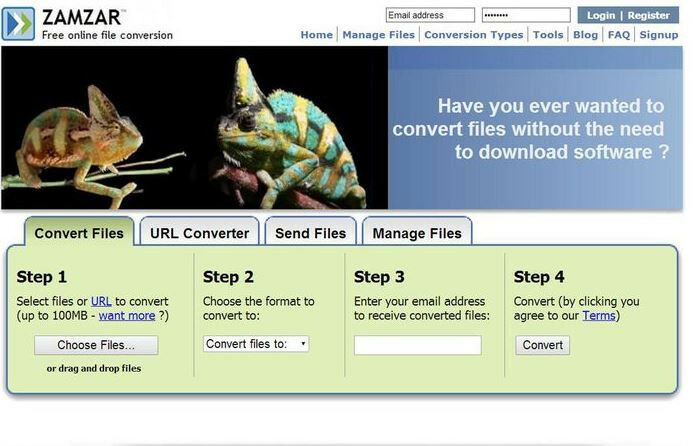 If you want you can more files to convert in batch once everything is set simply click on “Convert All” or “Convert” button to initiate the conversion process. If you want to convert MP3 to FLV, you can check out the article to get the work done with ease. •	Converting video to audio will keep only the audio file after conversion if you need videos as well then you can go for video formats like AVI, MP4 etc. •	Converting videos to the devices format can also be done with this converter. To do that simply clicks on devices tab while choosing the target format. •	Mostly all FLV files are available over internet. If you like any FLV file on internet and need that in the MP3 then first download the file using the converter program then convert it to the MP3. KeepVid Online Video Converter is a fast, free and very easy FLV to MP3 converter website. KeepVid Online Converter website it the fastest video converter site than the other online converter websites. It is really very easy to use FLV to MP3 converter online website and enables you to convert FLV to MP3 with any need of downloading software. This website promise to convert files and it really does what it is promised to it’s users. 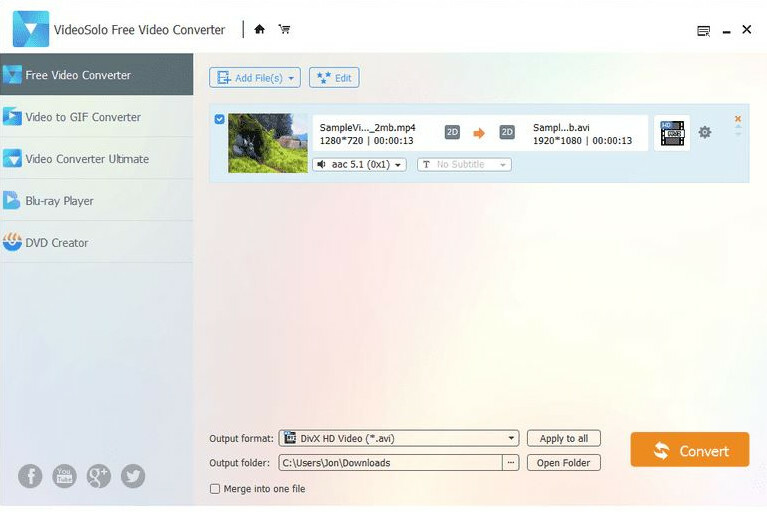 You can quickly convert the videos in 60 formats with this FLV to MP3 converter online website. Zamzar is a good website to convert the video and audio even it supports other file types as well such as document, images etc. This FLV to MP3 converter online is very old website in the market and convert files perfectly. This website is easy to use but unable to convert the videos in faster speed than the KeepVid online converter and other online converter sites. 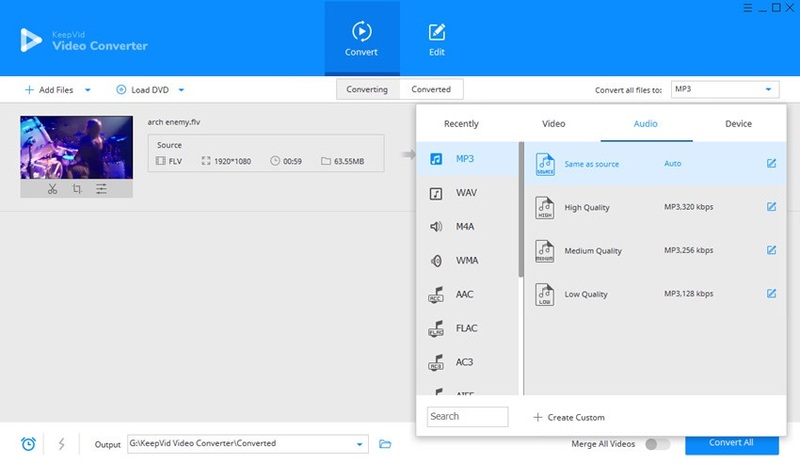 Freemake Video Converter program is a very well know video converter software among people because the first thing is that it is free and the second thing that it has many features. It can accept mostly all types of input formats but if we talk about the output formats then only 50 formats are supported by this program. You can convert the videos in many formats with this converter software. It can be installed on the windows XP to Windows 10 but not available for the Mac users. No Adware, No Viruses and no trial issue.